Your credit score is likely the most critical, unbiased representation of your financial life, past and present. Apply for a car loan, a mortgage, or a credit card, and the credit bureau sums you up in one unprejudiced number that can make or break you. Heck, you might even get a cheaper auto insurance rate based on your credit score. It defines your creditworthiness, your ability to manage your finances and how you handle the responsibilities that come with it. There are no opinions, explanations, or excuses. Your credit score doesn’t care that the check got lost in the mail, you were on vacation, you thought your spouse paid it, or that you ran out of stamps and didn’t have internet access. Make sure your score tells the story you want people to know, and if it doesn’t, improve my credit score would be a fantastic New Year’s resolution. If you don’t know your credit score, it’s important — and easy — to find out. Consumers are eligible for one free credit report from each of the three major credit bureaus per year. (Bonus – if you’re a Georgia resident, you can get two additional free copies from each credit reporting agency per year.) Simply visit the federally authorized site, annualcreditreport.com, to request your free copies. Review them in detail and dispute any inaccuracies. Yes, the credit agencies make mistakes, so be sure you’re not taking the heat for someone else’s mishandling. Any score over 750 is generally considered excellent credit. Kudos to you if you’re at the top of the heap — you can probably stop reading now. If your score falls anywhere between 700 and 749, you’re doing well, but there’s always room for improvement. Fair credit is any number between 650 and 699. Poor credit is a score between 600 and 649, and anything less than 600 is viewed as bad credit. Pay past due balances. Your payment history accounts for one-third of your credit score, so it’s super important to get those accounts current. Wait too long and they’ll be sent to a collection agency, and that’s something you really want to avoid. Stop charging. Each credit purchase you make not only increases your debt, but it also raises your credit utilization. Credit utilization is the amount of your outstanding balance compared to the approved credit limit. Whenever possible, use cash for any necessary purchases. Pay down your debt. Find ways to send extra payments to your outstanding credit card accounts. It might take some creativity, so think about your talents and your time and how you might use them more wisely. Consider a part-time job. If you’re handy, offer your services to neighbors. Sell items you no longer need on eBay, Craigslist, or your local garage sale site. Crafty? An Etsy account may be worth a look. Don’t open any new credit accounts. When you’re trying to raise your score, every hard inquiry into your credit history counts. When a lender checks your line of credit, especially when it’s done too frequently in a given period of time, it can be damaging. Don’t worry, though — it doesn’t count against you when you request a copy of your own credit report. Make your payments on time. Late payments are the killer of credit scores. Make every effort possible to send your payment early or on-time. Build a calendar with your due dates, set reminders on your phone, or set up automated payments. Do whatever it takes. Don’t close any accounts. We’re back to credit utilization rates again. If you have a zero balance on an account and a $5,000 credit limit, your combined borrowing power will be higher, which is what the credit score calculator likes to see. Call your credit card company or your lender. Let’s face it, we all run into hardships now and then. If you’re having difficulty making your payments, call them before they call you. It shows that you want to work through the tough time you’re having. They’ll be more receptive to a compromise and might even be able to offer some solutions that could help. Your credit score won’t improve overnight, but these tips will ultimately start moving it in the right direction. 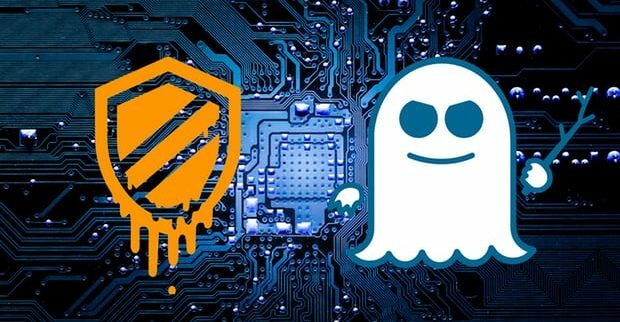 You may have heard news reports about Meltdown and Spectre, two computer bugs affecting electronic devices. We want to assure you that the security of our members’ information is our top priority and we have, and will continue to protect it from viruses such as these. We have a robust Information Security Program to keep our members’ information safe and we have been working closely with our vendors to address these bugs specifically. For more information about Meltdown and Spectre, please click here.